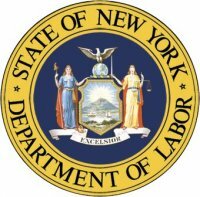 The Westchester County unemployment rate in July dropped to 6.7 percent (down from 6.8 percent in June), the state Dept. of Labor announced yesterday. From July 2010 to this past July, private sector jobs grew at a rate of 1.9 percent. Compare that to the period from July ’09-July ’10, when the private sector contracted by 0.1 percent. Big shift? Absolutely. July is typically one of the slowest months for hiring, and we still saw a drop in the unemployment rate. Growth came across four of the major industry sectors (Trade/Transportation/Utilities – 1,200 jobs over the past year; Professional and Business Services – 2,000 jobs; Private Education and Health Services – 2,600 jobs; Leisure and Hospitality – 5,000 jobs). Diversity is always a good thing. This entry was posted in Uncategorized and tagged Department of Labor, health care, hospitality, Jobs, Unemployment, Westchester by nyinsidetrack. Bookmark the permalink.